Scarlett Garner doesn’t remember anything before the age of four—but a car accident changes everything. She starts to remember pieces of a past that frighten her. A past her parents hid from her…and a secret that could get her killed. 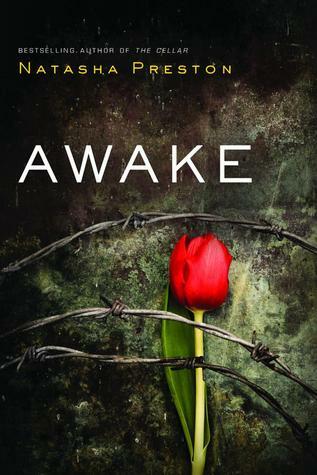 The premise for Awake sounded promising; once I got past the supposedly tragic fact that Scarlett can’t remember anything from her first four years of life. Now, I don’t know about you, but I sure don’t remember much of anything prior to being five, and what I do remember is so off the wall that I’m not 100% sure it’s not something my mind made up rather than a memory - we’re talking butterscotch candies, some mechanical monkey game, and watching a car drive away. Definitely nothing a super secret cult would need to be concerned about me remembering. Moving beyond that though, because I could totally keep going, and that’s just one of the issues I had with what I did read. First we have Scarlett, and her so-called BFF Imogen. Hated their ‘friendship’ so much. It was like they missed the ‘how to be friends’ memo entirely. They were so cruel to each other, both in action and words, that I wanted to reach in and shake some sense into them. Or else, just erase their knowledge of ever being ‘friends’. Then there’s Scarlett herself. Miss, my life is so tragic because I can’t remember a span of my life that is next to impossible, scientifically, to remember with any level of clarity. I mean yes, hypothetically, I should have felt something for her, due to her true family situation. However, all I felt for her was a lingering desire to walk away from her. And let’s not even get started on the uber case of insta-love. *sighs* I don’t like having to classify something as a DNF; however, I only got as far as I did by forcing myself to keep going. -Digital ARC provided by NetGalley, in exchange for an honest review.